Whirlwind's Medusa Series Snakes have been the touring standard worldwide for	decades. They're still made here at our Rochester NY factory. 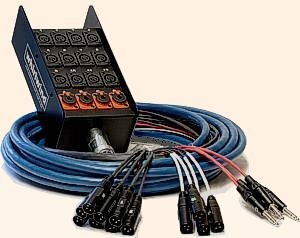 Heavy duty powder coated steel stagebox with Whirlind connectors. Whirlwind by Belden CM rated multipair cable, heavy duty, flexible, NEC CM rated multipair cable. 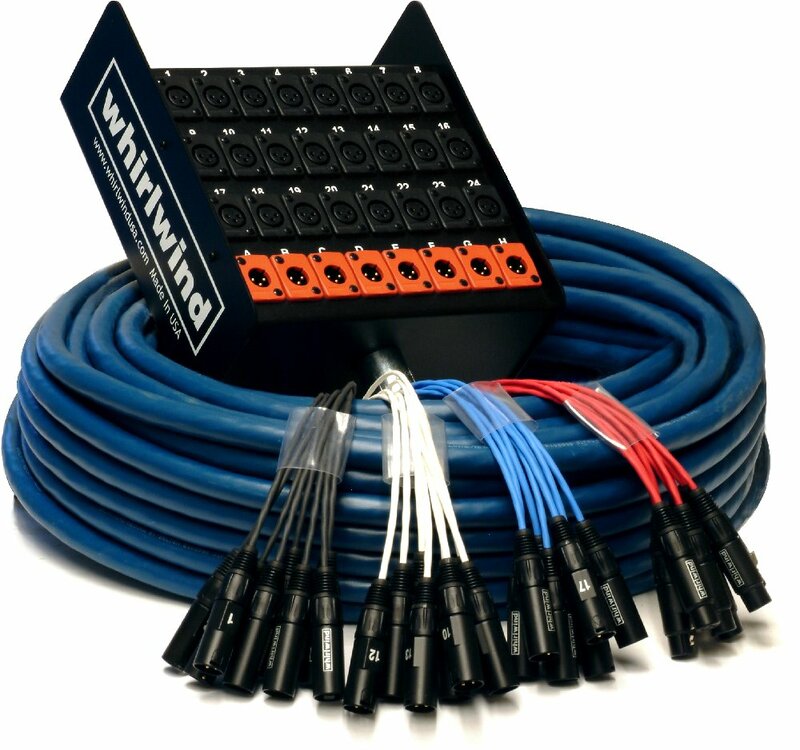 Each pair contains two twisted 24GA 7x32 polyethylene insulated conductors with 100% foil shield and 24GA drain wire. Optional SnakeSkin® is available for the ultimate in fanout protection. The chart below reflects our standard combinations. which will walk you through the Many different features available. "What makes a Medusa so tough?" Whirlwind snakes are recognized as the most rugged and reliable in the business. Click checkboxes and set quantity box to select items for your shopping cart. When finished, click "Add to Shopping Cart" button to add items to shopping cart. Model # Of Inputs # Of Returns 50 Ff. 100 ft. 150 ft. When finished, click "Add to Shopping Cart" button to add items to shopping cart.